Fastigiate growth with stiff dense blue/green foliage. 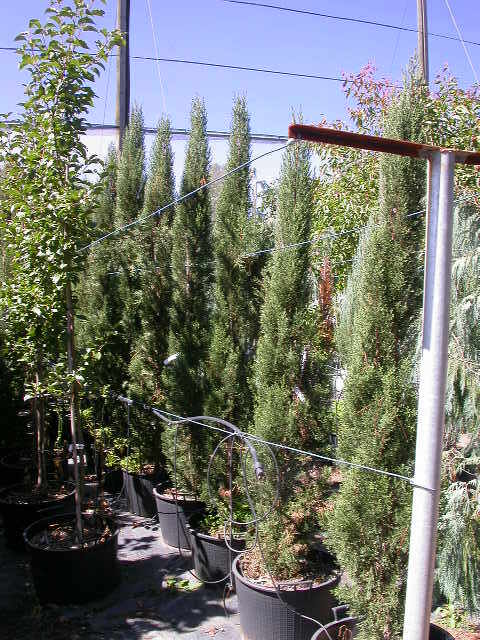 Will grow in a wide range of growing conditions and once established is drought tolerant. Requires full sun to maintain good blue colour.